About: Halton Community Wellbeing Practices (CWP) is a unique health initiative, commissioned by Halton Clinical Commissioning Group (CCG), and delivered by Wellbeing Enterprises CIC. The service supports 17 GP practices in Halton to integrate with wider community-based provision. The CWP initiative also offers patients who are unable to attend their GP practice or other community venue, a home visiting service, which can link them to support to stay connected at home. Wellbeing Enterprises have collaborated with over 120 partner organisations in the borough to offer additional support to patients. Wellbeing Enterprises have also established Wellbeing Review clinics with secondary care providers, and are working in partnership with others to provide patients leaving secondary care (e.g. Hospitals and Mental Health providers) with wellbeing and social support. 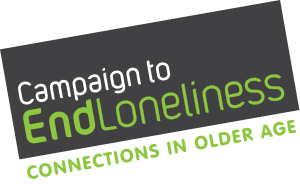 Clinicians in Halton reported that one of the most frequent issues to emerge from their consultations with patients is loneliness and isolation, and they value having a complementary service into which they can directly refer patients, using their practices clinical software.